Intracranial aneurysms in patients 18 years of age or under, are they different from aneurysms in adult population? Background. Intracranial aneurysms are extremely uncommon in the first two decades of life. 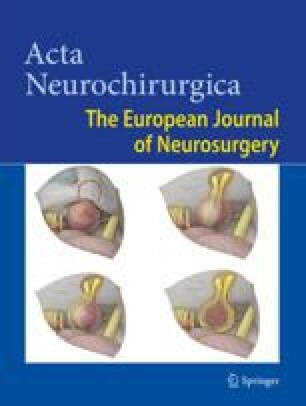 This study was undertaken to assess the clinicoradiological features and surgical outcome of intracranial aneurysms in patients less than or equal to 18 years of age; and, to highlight the differences between these and intracranial aneurysms seen in adult patients. Methods and material. Twenty-two patients, 18 years of age or under (male:female ratio=1.75:1; mean age 14.18±3.8 years, age range 5 to 18 years) and 451 adult patients aged older than 18 years (male:female ratio=1:1.05; mean age 48.21±12.71 years, age range, 19 to 81 years) were treated for intracranial aneurysms at our center between January 1991 and July 2003. The univariate statistical analysis was used to compare differences between the two groups. Findings. The patients under 18 years constituted 4.6% of the total patient population having intracranial aneurysms. The incidence of associated medical diseases was greater in patients under 18 years than in the adults (9% versus 0.26%, p<0.05). The incidence of seizures was more than double in patients under 18 years (36% versus 17%, p<0.05). The incidence of intracerebral haematoma (ICH; 41% versus 22.5%, p>0.05), intraventricular haemorrhage (IVH; 45% versus 34%, p>0.05), and hydrocephalus (36% versus 25%, p>0.05) were higher in patients under 18 years. In adult patients, anterior communicating artery (AcoA) and in children, ICA bifurcation were the most frequent sites of aneurysm formation respectively (p<0.05). The incidence of giant aneurysms was nearly double in children (13.6% versus 6.5%, p>0.05). The incidence of clinical vasospasm was almost the same in both groups. The overall outcome was favourable in 82% of patients under 18 years and 58.8% in adults. The management mortality in patients under 18 years was 9.1%, while in the adult patients, it was 19%. Conclusion. In patients under 18 years of age, there was a definite male predominance; a higher incidence of seizures; and, the ICA bifurcation formed the most frequent site of intracranial aneurysms. In adults, AcoA a was the commonest site. Rebleeding and delayed ischaemic deficits were the major causes of morbidity. Favorable outcome after surgery in young patients was better in comparison to their adult counterparts. Keywords: Aneurysms; subarachnoid haemorrhage; paediatric aneurysms; seizures; outcome.